SALT LAKE CITY, UTAH – For players seeking out of the ordinary sounds, your dreams – or maybe your nightmares – have come true: the infamous DOD Gonkulator is back! HARMAN’s DigiTech has updated its DOD Gonkulator Ring Modulator, which delivers all the clanking, metallic, rasping sonic disorder of the original with upgrades like true bypass operation, a 9-volt power supply input and a new adjustable carrier Freq control that allows you to tune the Gonkulator from 90Hz-1.5kHz. 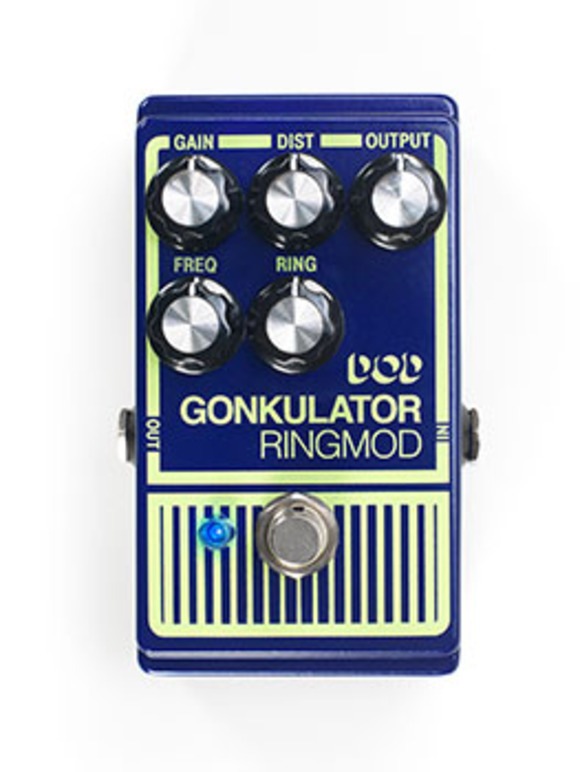 The Gonkulator is actually two effects in one – it combines a ring modulator in parallel with a distortion circuit for further sonic perversion. One note from the Gonkulator and you’ll certainly have listeners’ attention. The RING knob determines the amount of the ring modulation signal that is mixed with the clean signal to add those unavailable-anywhere-else “gonk-like” clanging rasping, alien-robot tones to a guitar or instrument’s sound. 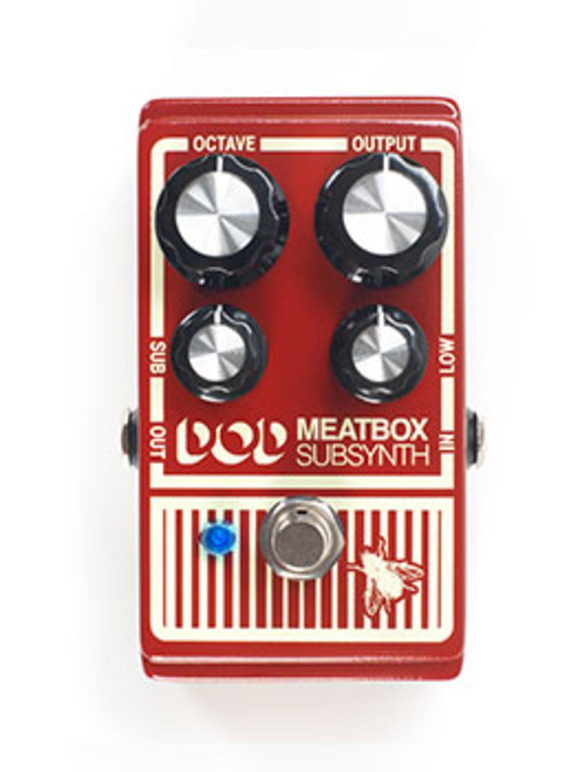 The DIST and GAIN knobs control the amount of distortion and the blend of the distorted signal. A new feature not found on the original is the FREQ control, which allows the ring modulation to be tuned to be anything from slightly strange to wildly atonal. The DOD Gonkulator mates all the sonic idiosyncrasies of the original with functional improvements including true bypass operation to preserve the tone of the unaffected signal when the pedal is not engaged, a 9-volt power supply input for a choice of external power or 9-volt battery operation and a bright blue LED indicator that’s visible everywhere from dark stages to bright sunlight. The Gonkulator’s retro-classic graphics and road-tough metal housing reflect its unmistakable DOD lineage. 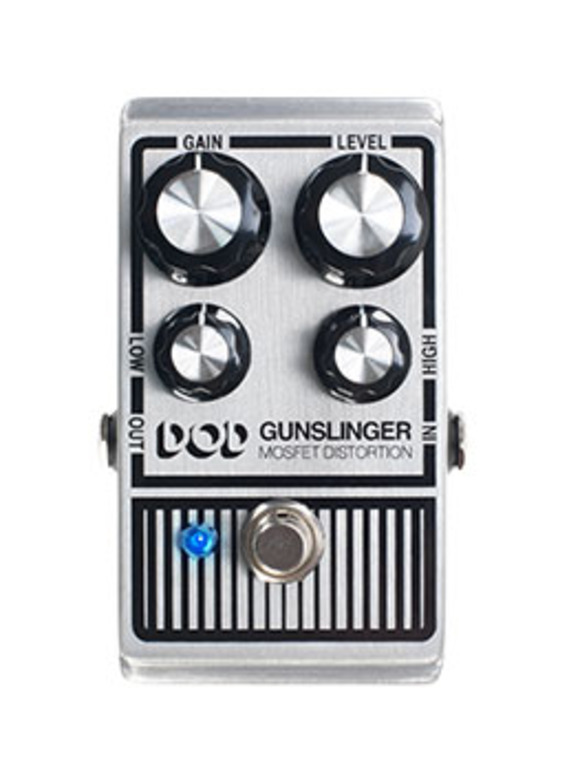 The DOD Gonkulator Ring Modulator will be available in July 2015 at a suggested retail price of $187.44. HARMAN (harman.com) designs and engineers connected products and solutions for consumers, automakers, and enterprises worldwide, including audio, visual and infotainment systems; enterprise automation solutions; and software services. With leading brands including AKG®, Harman Kardon®, Infinity®, JBL®, Lexicon® , Mark Levinson ® and Revel®, HARMAN is admired by audiophiles, musicians and the entertainment venues where they perform around the world. HARMAN also is a technology and integration services leader for the Automotive, Mobile, Telecommunications and Enterprise markets. More than 25 million automobiles on the road today are equipped with HARMAN audio and infotainment systems. The Company’s software solutions power billions of mobile devices and systems that are connected, integrated, personalized, adaptive and secure across all platforms, from the work and home to car and mobile. HARMAN has a workforce of approximately 25,000 people across the Americas, Europe, and Asia and reported sales of $5.9 billion during the last 12 months ended March 31, 2015.